The DX-992 features excellent sound quality and fit. 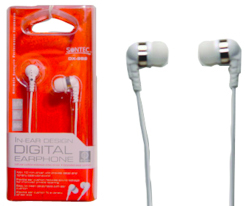 High quality earbuds have flexible silicone eartips for passive noise reduction and comfort. Perfect for music applications due to their sound clarity.